What do you believe are the best books for children to read? 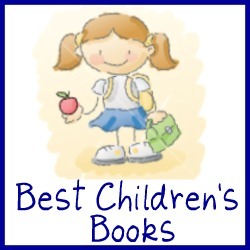 Here are some book reviews for childrens books, and a place to share your own. If you've followed this site for long you will know that I am very interested in fostering a good learning environment for my children. In my home I am always encouraging the reading habit in my kids, and it seems to be working. I have several budding book worms. Because of that we are always on the look out for entertaining, quality books for our kids to read. Especially my oldest goes through them so quickly, we are frequent visitors at the library. Therefore, my kids and I will be suggesting several good books over time in this section that they have enjoyed. For some of the better ones you may even get treated to a book review or two from the kids themselves. I will make a few suggestions now though, even before I write the full reviews. The first is for very small children, and I found it helpful for my kids if they felt sad about going to preschool or daycare, and missed me or Daddy. It is Llama Llama Misses Mama . I remember reading it with my son when he was little, and he almost had tears in his eyes thinking about poor Little Llama, but it has a happy ending and really did seem to help him feel better too. I also suggest any of the Geronimo Stilton books. They are a large series that my kids, both girls and boys, really have enjoyed. There is both writing and great pictures in the books, which are geared mainly toward grades 2-4, but younger kids like to hear the stories too. Another hint: If you're looking for the basic reading level of a book, to find out if it will be too hard, or easy for your child to read you can check this AR reading list to see how we do this quickly and easily. I want to hear your reviews and suggestions too for the best books for children. Whenever you suggest a book, let's all try to also suggest an age range so we can figure out who it might be appropriate for in our household. Have you or your children read a book they have really enjoyed and thought was of very good quality? Would recommend that others read it too? The links below are books I or another reader have recommended or reviewed. Click the links to see what we had to say. Feel free to comment on any of these books to tell your opinions of them too.